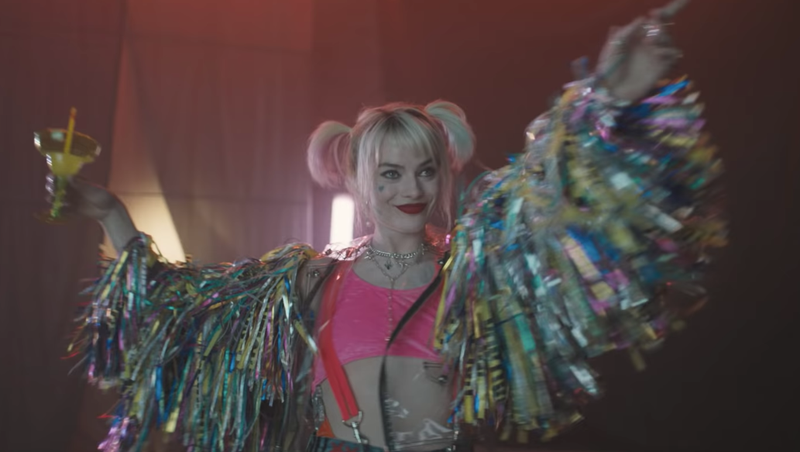 Harley Quinn is officially back in business, as Margot Robbie has shared the first look at her brand new costume for the female-fronted DC ensemble Birds Of Prey (or whatever it’s actually called). Is this Harley Quinn auditioning for her local baton-twirling league, or is she dressed up like the handlebars on a 4th-grader’s bicycle? You decide! Jokes aside, the new Harley Quinn costume is indeed very much an improvement over the one Robbie wore in Suicide Squad, which involved the tiniest short-shorts in the history of clothing and had her serving up what can only be described as “male gaze realness.” Even Robbie herself wasn’t a fan of the costume: Back in 2016, she told The New York Times that it made her feel “self-conscious” and that she tried to speak with Suicide Squad director David Ayer about her discomfort, which he dismissed. Birds Of Prey is currently in production and scheduled to hit theaters on February 7, 2020.